Still Using the Old DMI? The DMI (Directional Movement Index) is one of the most popular technical indicators used by novice and professional traders alike. It does have one major problem though — the regular version of the DMI hasn't been updated since it was first created by Welles Wilder back in 1978! Though the DMI used to be a great trading indicator, the lack of any updates has made it less effective in today’s dynamic, fast-paced markets. As markets evolve, the technical indicators that we rely on to trade successfully must also evolve. Our Super DMI™ Indicator Package overcomes the limitations of the old DMI and offers several powerful new features — making it more effective than ever before! The Super DMI™ Indicator Package also includes a special "Scanner" Indicator designed to scan for signals and trend conditions using the NinjaTrader Market Analyzer, TradeStation RadarScreen or MultiCharts Market Scanner. And all columns, colors, and text are fully cusstomizable! 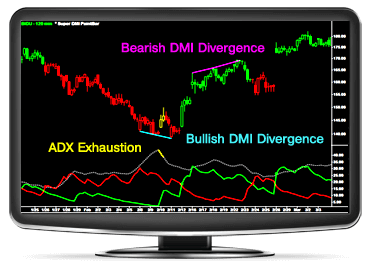 The Super DMI™ includes a special “Divergence Engine” unlike anything you have seen before. It is trader-friendly, easy to use, and offers many advanced features, settings, and customizations — making it ideal for both novice and professional traders. 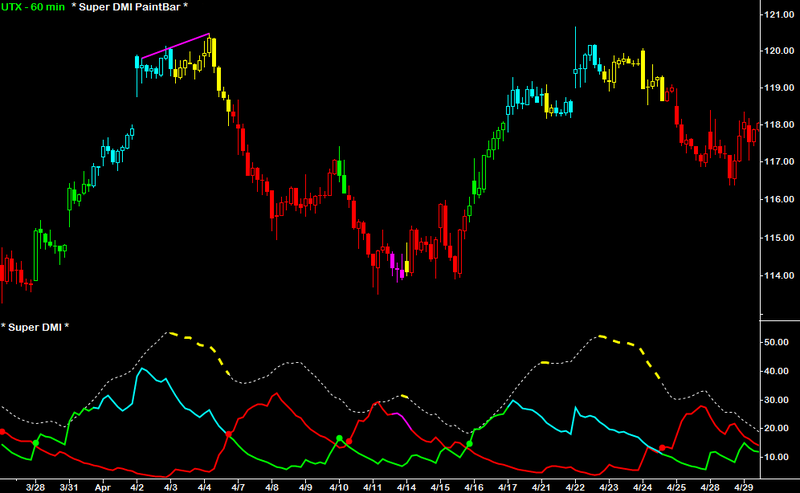 Our Divergence Engine issues standard divergences, “Filtered Divergences” and 3-Point Divergences! There are also customizable audio, visual, and email alerts to alert you to each divergence signal! Only the Super DMI™ lets you smooth the price data that flows into the DMI and ADX formula. By smoothing price data, the plots of the DMI and ADX become much smoother than the classic DMI and ADX. Use any averaging method when calculating the DMI — choose from SMA, EMA, DEMA, TEMA, WMA, TMA, HMA, or GMA! The Super DMI™ color-codes the DMI+ and DMI- based on whether the ADX is below the user-defined “Chop” threshold, above the “Breakout” threshold, or in a state of “Exhaustion”. At a setting of “0”, all price gaps will be included when calculating the DMI. At a setting of "100", all price gaps will be excluded when calculating the DMI. You can easily activate or deactivate each of the various to prevent being distracted by signals that you aren’t trading. 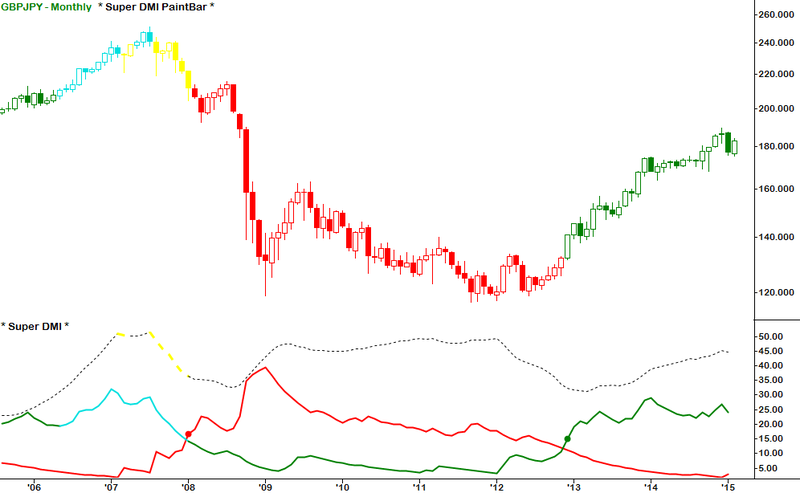 The Super DMI™ PaintBar enables traders to monitor the DMI and ADX conditions directly from the chart or price panel. It uses advanced, flexible color-coding techniques to give you complete control over the appearence of all colors and plot styles. The Super DMI™ includes our state-of-the-art “Divergence Engine”, which automatically detects bullish and bearish divergences between the Indicator and Price. When a valid divergence is detected, the Super DMI™ automatically draws a divergence trendline directly onto the chart — alerting you to the increased likelihood of a price reversal. 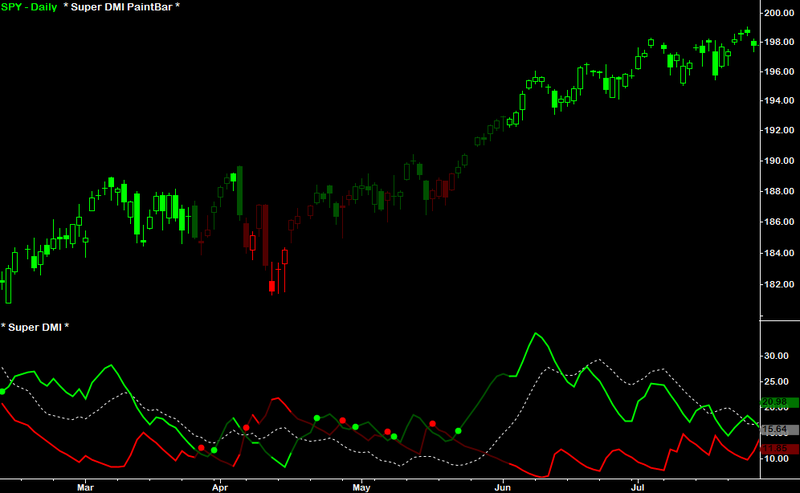 It also includes fully customizable audio and visual alerts to ensure you won't miss any divergence signals. Our Divergence Engine is truly the most effective and customizable tool of its kind! 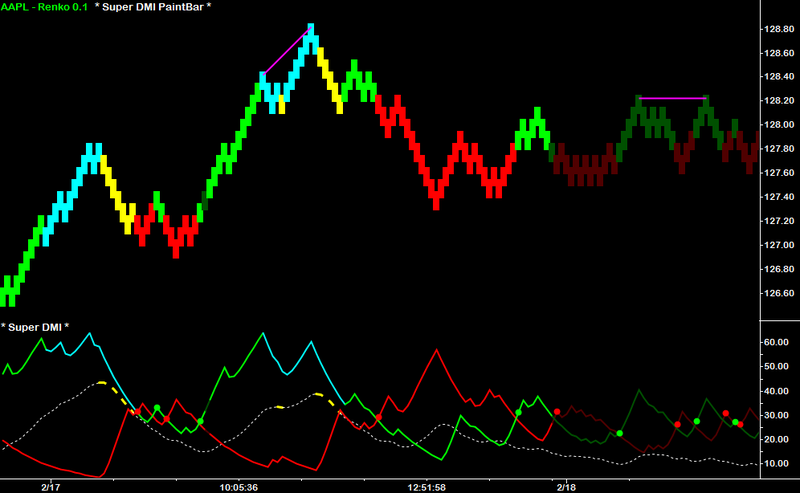 The Super DMI™ Indicator Package also includes a special "Scanner" Indicator designed to scan for signals and trend conditions using the NinjaTrader Market Analyzer, TradeStation RadarScreen, or MultiCharts Market Scanner. And all columns, colors, and text are fully customizable! As you can see in the screenshots below, using Super DMI™ with the NinjaTrader Market Analyzer, TradeStation RadarScreen, or MultiCharts Market Scanner allows you to scan for DMI signals across any list of symbols — in just seconds! Have a question about the Super DMI™ Indicator Package? Check out the Super DMI™ User Guide to learn more! I own the Super RSI and Super MACD and use them religiously so I got the Super DMI too even though I could never figure out a good way to use the DMI in my trading. My problem was that there was always too many crossovers with the DMI. So I cranked up the smoothing and got rid of the excessive crossovers when price moves sideways... works great for knowing if the trend is up or down! The difference between the Super DMI and the DMI is like night and day. You weren’t kidding when you said it was a next gen version of the DMI. The color-coding options and the ADX changing color is exactly what I’ve been looking for. The ADX has served me well for almost two decades, so I was skeptical about whether it could be improved upon. I bought your Super DMI to see if the smoothed ADX works better. I love how it actually gets rid of those "fake out" moves that happen when the ADX overreacts to a big price move or a gap. Apparently a little bit of smoothing goes a very long way. I’ve always looked for when DMI+ or DMI- makes a crossover after a big trend move, so it's been easy for me to see that the DMI divergences often mark a top or bottom in price well before the crossover actually occurs. I didn’t even know that you could use divergences with the DMI! That is an awesome addition. I used the DMI in the past and I really wanted to like it, but it would go kind of haywire whenever there was a big gap in price. I don’t know how you removed the gap from the calculations as if it never even happened, but that is freaking brilliant! My initial thought was that every indicator should have this ability and then saw on your site that most of your indicators do! What is the most valuable feature of the Super DMI™ Indicators? The Super DMI™ has numerous features that you won’t find in the old DMI. A few of the best new features are the built-in Divergence signals, the ADX Exhaustion signals, and the Chop and Breakout detection (intelligent color-coding for when the ADX is below or above the specific key thresholds). 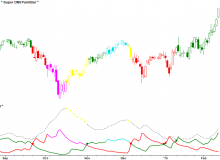 The Super DMI™ Indicators are effective across all timeframes and chart types, so the "best" will be whatever is most compatible with your specific trading style. Keep in mind that price data and liquidity almost always improve as the timeframe increases (a 1-minute chart will often exhibit more random price movements than a 60-minute chart). 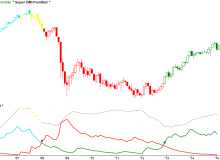 What are Super DMI™ Divergences? How do they work? 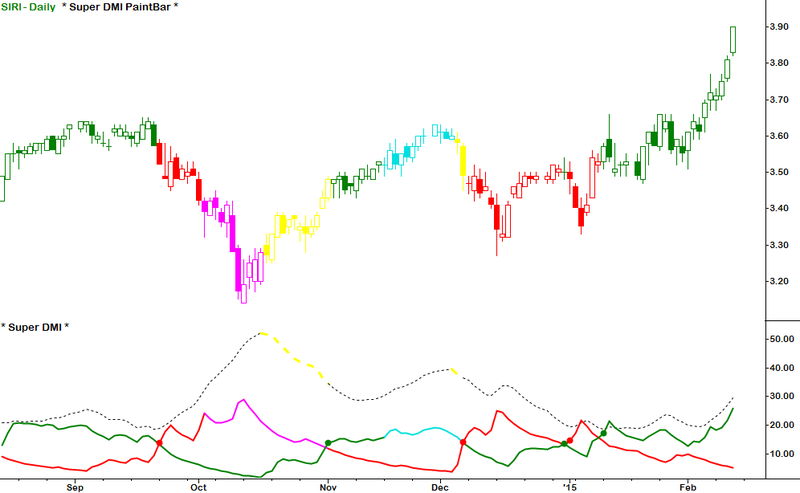 Divergences occur when price and the Super DMI™ are moving in opposite directions instead of what is normally expected. 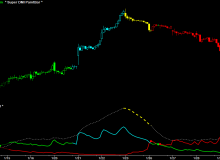 A Bullish Divergence occurs when the Super DMI™ value increases while Price decreases. 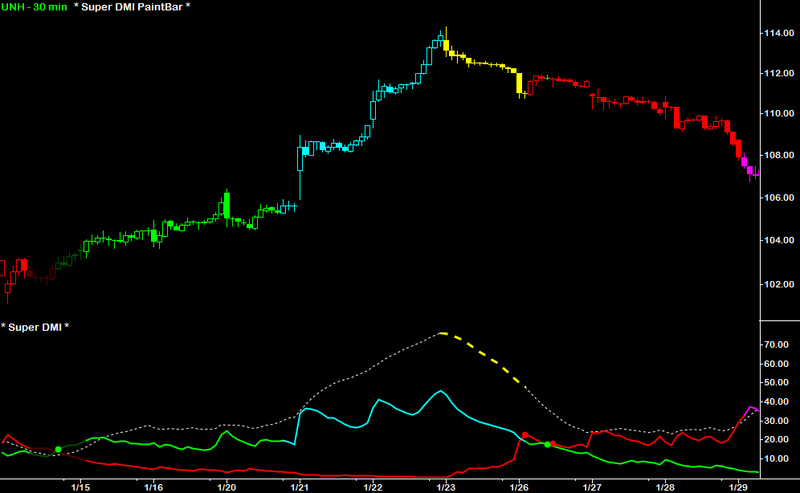 A Bearish Divergence occurs when the Super DMI™ value decreases while Price increases. Both price and the Super DMI™ values normally move in the same direction, so it is significant and important to identify when they begin to diverge and move in opposite directions. This "disagreement" serves as an important warning sign for traders, by alerting you of the increased likelihood of a price reversal, retracement or correction. 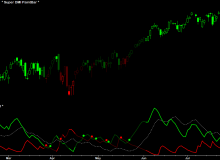 Many swing highs and lows in price are marked by such divergences, making them effective entry and exit signals. The Super DMI™ Indicators include optional alerts for when the DMI + and DMI – cross above or below each other, as well as alerts for Divergences, ADX Exhaustion, and ADX Chop and Breakouts. The Super DMI™ Indicator Package includes a specialized scanner Indicator that is designed to be used with the Market Analyzer (NinjaTrader), RadarScreen (TradeStation), or Market Scanner (MultiCharts). You'll also receive fully configured templates and workspaces so that you can begin scanning for signals and trend conditions immediately! 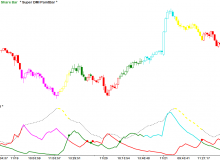 How can I use the Super DMI™ Indicators in my own automated strategies and codes? The Super DMI™ Indicators can be used in your own custom strategies and Indicators by purchasing the “Super DMI™ User Functions”, which are sold separately for $145 (half the cost of the Indicator Package). 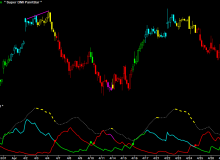 * You must own the Super DMI™ Indicator Package to use the Functions since they reference the Indicators. What other Indicators do you recommend using in combination with the Super DMI™? The Super DMI™ Package includes excellent trend-based Indicators that are a perfect complement to all other technical Indicators. They will work even better when paired with any of our other trend-based Indicator Packages — Vol.T™: Volume-Tick Indicators, Trend-Traffic™, Super RSI™, Super MACD™, Super Stochastics™, Super CCI™, and ZMA™. 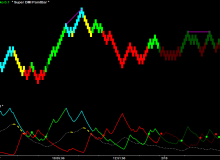 The Super DMI™ MTF Indicator (Multiple-Time-Frame) is a powerful add-on that will allow you to monitor the Super DMI™ trend conditions and signals on up to 5 different timeframes at once! 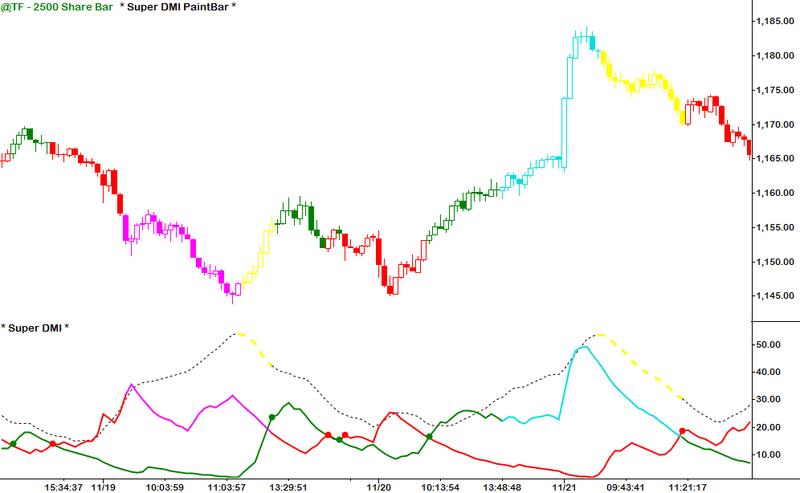 Click here to see the Super DMI™ MTF Indicator in action!